The society representing cosmetic medicine physicians. Cosmetic Medicine in New Zealand.
" Beauty treatments...but some of the results are quite ugly." Regulations are struggling to keep up with reality. TV 3 Newshub item airing our concerns for better regulations around dermal fillers. newshub Feb 2019 from NZSCM on Vimeo. It is rare these days for patients not to be told of the risk of the risk of vascular occlusion. This uncommon complication (about one in 1,000 treatments) develops when the needle or cannula used to inject filler finds its way into one of the arteries supplying blood to the face. If filler is injected into part of one of these arteries it can block part of the blood supply to the face.This is usually recognised straight away or within a few hours and able to be treated with a series of filler dissolving injections. NZSCM's Six Top Tips for Safe Dermal Filler Treatments. Did you know that the use of dermal fillers isn't well regulated in NZ? That means you need to be cautious about who you choose to have treatment with. Click here for our advice on How do you know if your injector is safe and well trained? NZSCM's Six Top Tips for Safe, Effective Laser and IPL Treatments. If you're considering a laser or IPL to improve your skin, we have important advice to make sure you're safe. In New Zealand , there are no regulations to stop untrained people from using lasers and IPL machines. To keep safe, you'll need to pick your operator carefully and ask the right questions yourself. Click here to see what to look out for. How fillers nearly cost one woman her face and nearly her life. Sydney woman Jenny Winnall had been receiving Botox for years when she decided to try fillers. "I had been sick and I had lost a lot of weight in my face," she tells 9Honey. "I'd had Botox by the same doctor." Jenny began receiving regular injections for years, until 2013 when a lump formed on her face. "I noticed a lump had appeared on my cheek," she says. "I was really concerned.". This article describes a problem with a permanent filler, Acquamid. It’s said that “permanent fillers cause permanent problems”. NZSCM agrees, and we advise both patients and our members against using permanent fillers. Permanent fillers can cause problems like infection many years after placement, and are difficult to remove, often requiring disfiguring surgery. This is not the case with hyaluranon fillers. Hyaluranon fillers are quite different. They can be easily removed with a dissolving enzyme called hyaluronidase. This gives hyaluranon fillers a high level of safety when used correctly by a well-trained injector. For peace of mind, check if your injector is a member of NZSCM. Our NZSCM doctors have completed two years of training in cosmetic treatments and follow the highest standards of patient safety and care. NZSCM is the only qualification in NZ that is recognised by the Medical Council of New Zealand. The appearance medicine industry is bracing for change as it deals with an increasing number of Asian clients wanting to Westernise their faces. The rules around who can apply dermal filler is also set to be tightened, because of the threat of rare, but serious health risks. 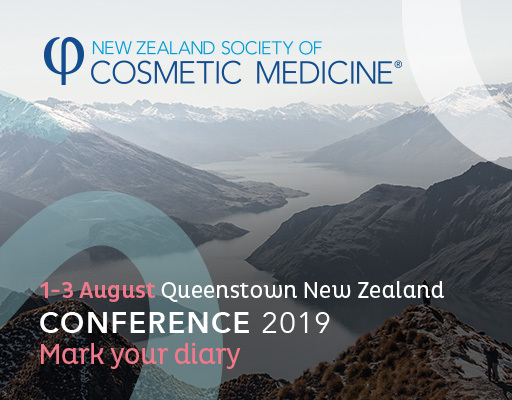 Asian aesthetics was a major discussion topic at the New Zealand Society of Cosmetic Medicine (NZSCM) conference in Queenstown over the weekend, attracting more than 220 doctors and nurses from the industry. Hans Raetz, President of the NZSCM says, "We've certainly seen an increase over the past few years of five per cent a year on the year before. We estimate around 20 per cent of our clients are now of Asian extraction." Popular procedures include reshaping of noses, lips, eyelids and cheeks using dermal filler - but it comes with risks. because our Society was founded on patient care. Our doctors are extremely well trained and competent practitioners who use safe and effective products to meet the Standards and Guidelines of NZSCM. On-call eye registrar (Helpline 09 307 2800). List of links to websites for all of New Zealand's district health boards. Through the development of best “standards” of practice, NZSCM has developed a rigorous Training Program for aspiring Cosmetic Medicine physicians as well as an audit programme for their recertification and continuing medical education. If you are NZ registered medical doctor with an interest in cosmetic medicine our Diploma is designed for you. Training is over 2 years and delivered to fit around a busy practice. Training is very practically based so graduates gain solid practical experience. Training is provided by NZ's leading practitioners who keep at the forefront of new techniques. The culture of our course is very collegial. Cosmetic Medicine will add a positive aspect to your practice. Applications for 2020 enrollment will be called for September 2019. Standing Orders are written documents that allow non-doctor health professionals (e.g. nurses) to dispense medications without a prior doctor's consultation, as long as certain standards are met. Dermal fillers are not currently regulated. Doctors specialising in appearance medicine want the use of dermal fillers regulated, after an Auckland woman was blinded in one eye by a nose procedure gone wrong. Dr Hans Raetz, president of the New Zealand Society of Cosmetic Medicine, says he has colleagues who have decided not to inject noses, because of the risk.